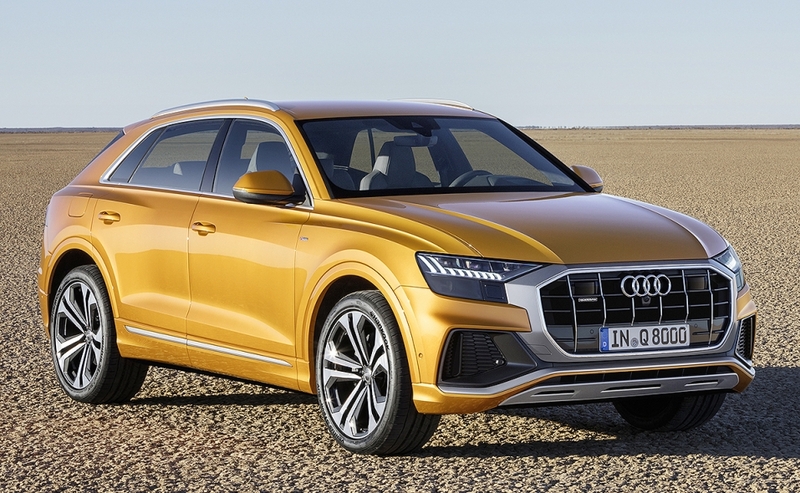 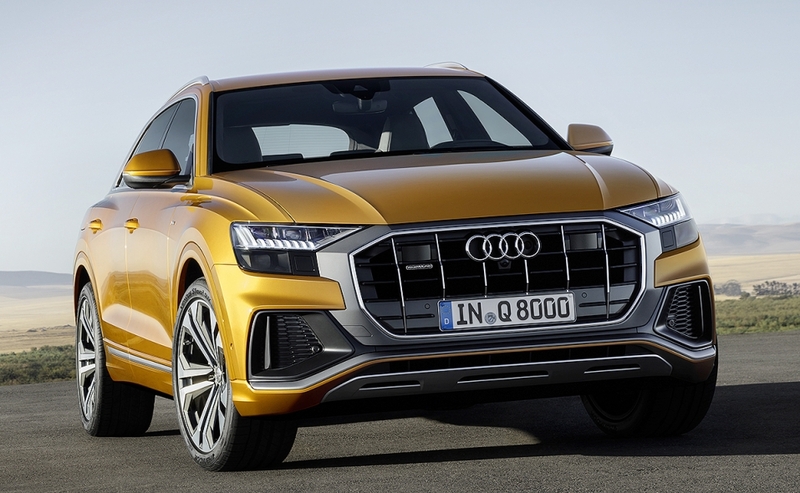 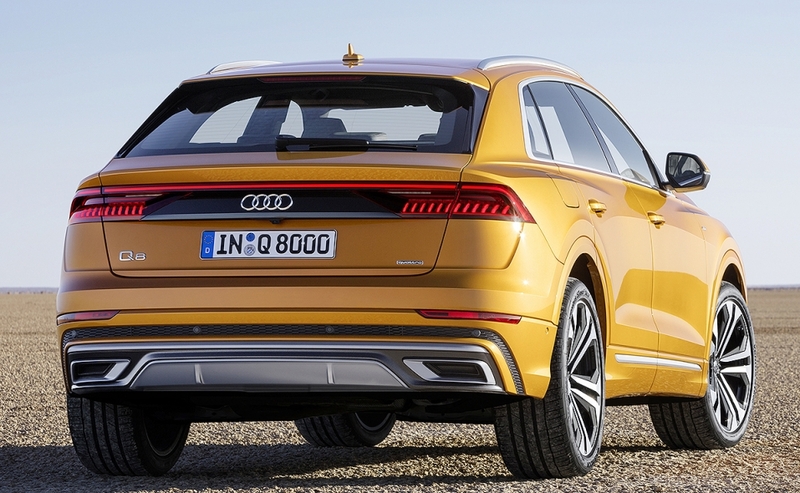 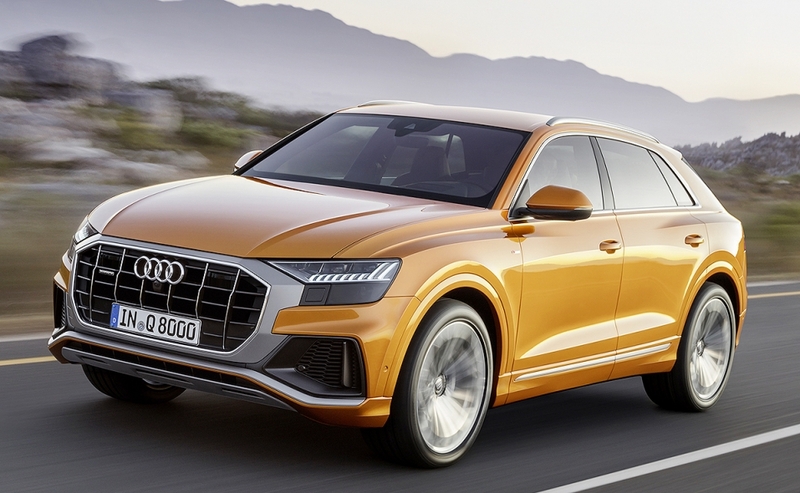 The Audi Q8 features a wider, shorter stance than the three-row Q7, giving it sportier exterior styling. 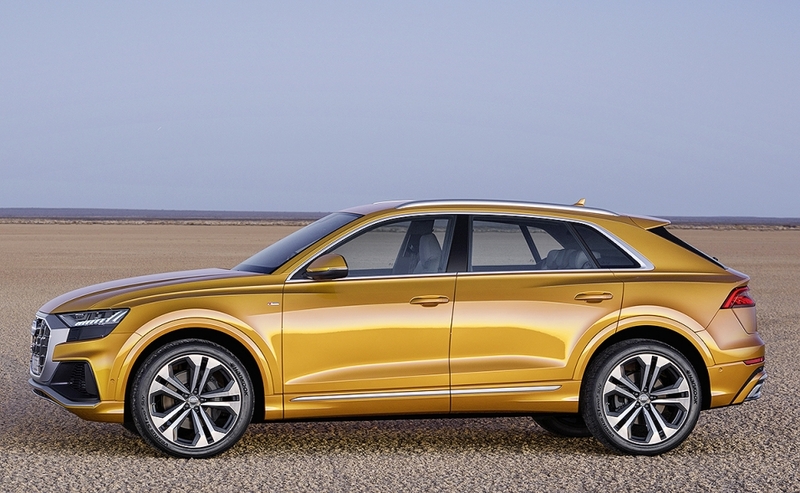 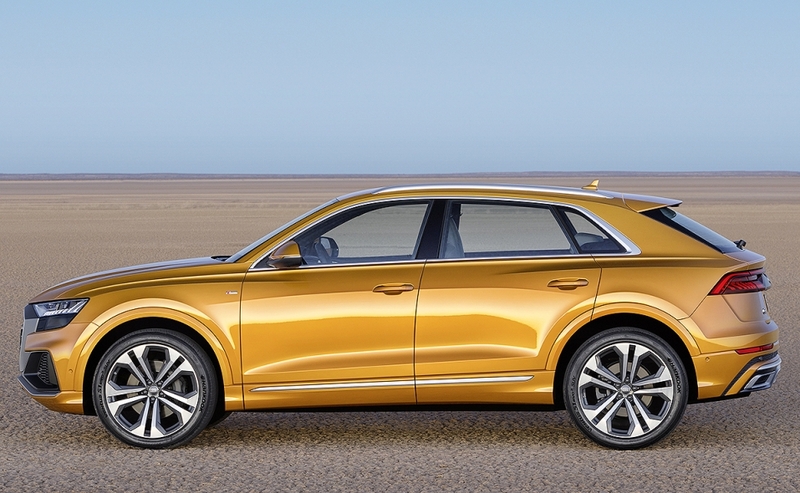 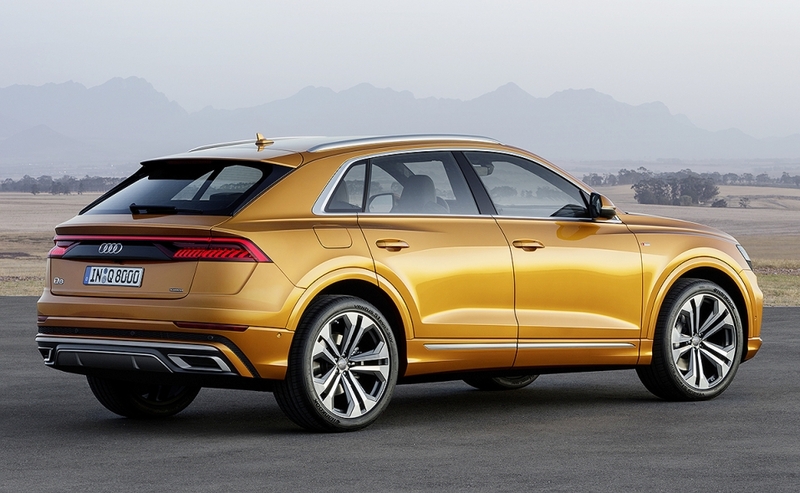 Audi's new five-seat crossover, the Q8, arrives this year. 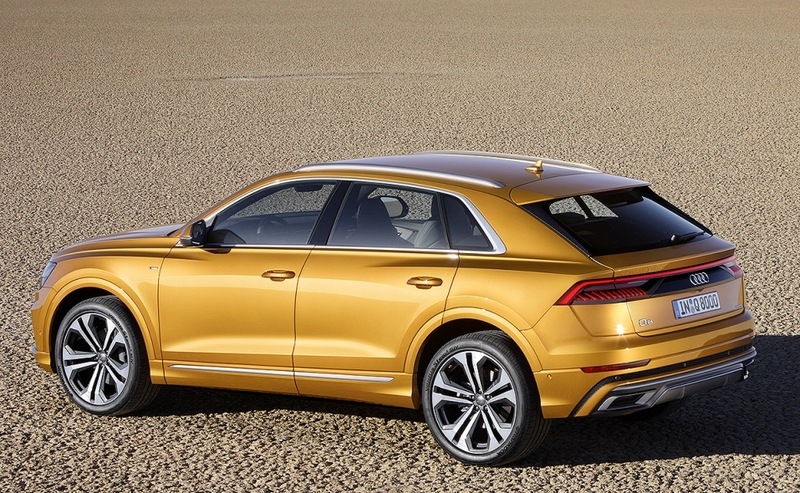 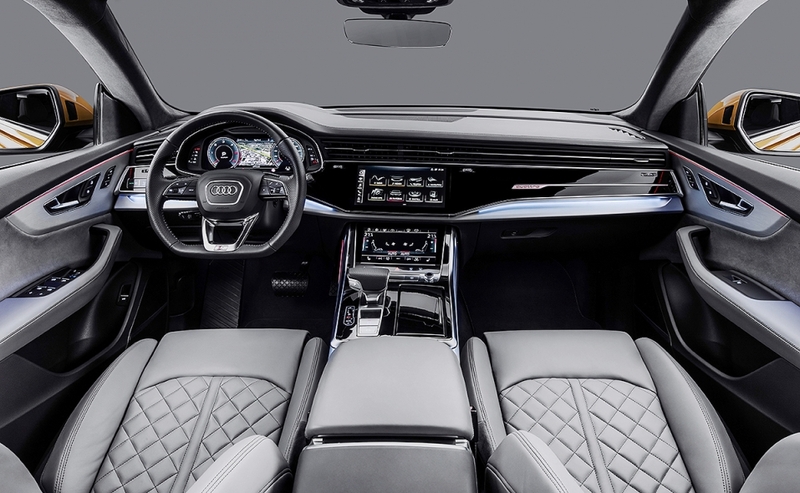 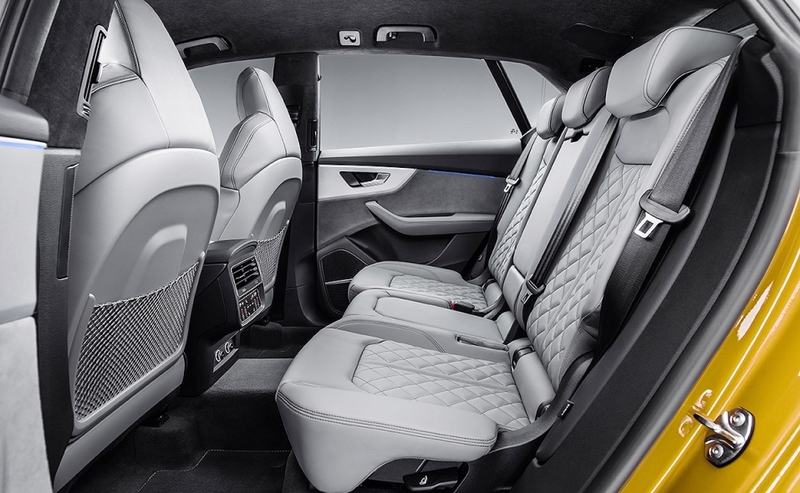 The Q8 has a 48-volt mild hybrid system and a full-time all-wheel-drive system.